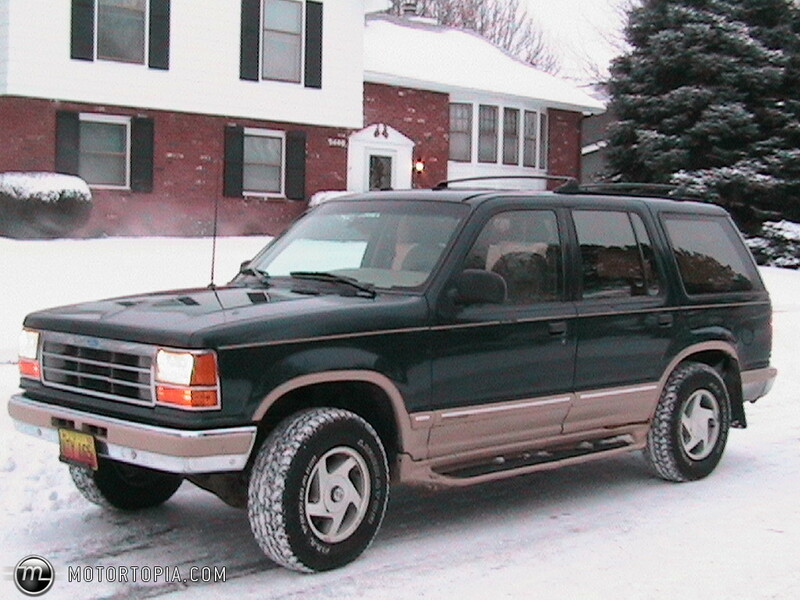 The Ford Explorer after its update for the 1995 model year. Image courtesy of Wikipedia. I will fully admit that I’m not a car guy. I know very little aboutt the interior workins of an automobile, and don’t really care about what I am driving as long as it has four wheels and runs properly. In fact, I didn’t even get my license until after I graduated high school, and even then it was because I wanted to get my road test out of the way before heading to college. Still, like any of the guys I know who are into cars, I can appreciate a well-designed vehicle and did notice through the mid- to late-1990s how the automobiles I was seeing on the road were starting to change. By the time we hit the turn of the century, the SUV came to dominate, something os noticable that even The Washington Post Magazine was doing its cover story on how people in compact cars were afraid for their lives on the Beltway due to the high volume of Ford Expeditions (and how many of those Expeditions were being driven by the incompetent and the aggressive). But the Expedition wasn’t king of the road yet in 1994, as most of the suburbanite families I knew were hauling kids around and running errands either in a minivan or in a Ford Taurus wagon, which was the last great station wagon. It was the best-selling car in the country at the time and held that status until 1997 when it was replaced by the Toyota Camry. I’m sure that there were many reasons for this, but a significant factor had to be Ford’s lackluster redesign of the Taurus in 1996, which effectively killed the sedan. That didn’t mean, however, that Ford didn’t make its mark in the mid-1990s because it did so with an SUV and a car: the Explorer and the Mustang. Both of these cars already existed prior to 1994, obviously, but it’s important to note that this year saw important changes for both. The Explorer was a relative newcomer to suburban driveways, hvaving been introduced in 1990. SUVs weren’t as ubiquitous then as they are now–some people had Jeep Grand Cherokees, some had GMC Suburbans (which was more like a truck), and there was this infamous Ford Bronco that made its way down a Los Angeles freeway that June–so to own an Explorer back in its first few years meant that you had enough money to not need a Taurus and were a bit more sophisiticated than the average minivan owner. And if you had the Eddie Bauer edition Explorer? Well. 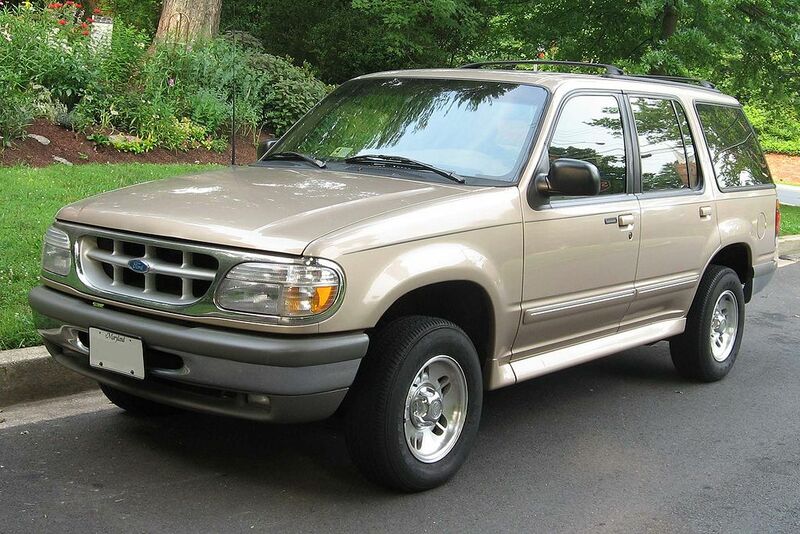 The 1994 Ford Explorer Eddie Bauer edition. Image from Motortopia. Really, very few things int he early 1990s say “Family plucked from the pages of a catalogue” than the Eddie Bauer edition of the Ford Explorer. Usuall hunter green, the SUV had an all-leather interior with the Eddie Bauer goose logo stitched into the seat backs and tan pinstriping with “Eddie Bauer” stenciled on side. There was one owned by a family a few blocks over from me, a car appropriate for its street–Handsome Avenue, which was a wide street lined with trees whose leaves cascaded beautifully to the ground each fall. I pictured that family wearing matching barn jackets while driving their Eddie Bauer edition Ford Explorer to some cabin on a lake where they would then spend their evenings drinking cocoa while sitting by a fire in their coordinating sweaters. Ford probably saw this and saw potential in it too, because even though the Eddie Bauer edition was out in 1993 or so, they redesigned the Explorer for the 1995 model year to be less boxy and more in line with the curvature of then-modern cars. Unlike the Taurus, this was a win and by the end of the decade, the Explorer, Expedition, and Excursion were just about everywhere. The redesigned 1994 Ford Mustang. Image courtesy of Wikipedia. The redesign worked and the new Mustang definitely made enough of a splash to get it noticed by even non-car guys like me. But honestly, if it went from 0-60 in 5.3 seconds, it went from 0-guido in 2.5. I don’t know if it was Ford’s intention, but whenever I think of this car, I picture it being colored bright teal, reeking of Parliaments and blasting Gina G. with the driver spackling on another layer of base while driving 75 in a 35 on the way to a club whose name includes the word “Dublin” to meet a Mustang-driving boyfriend who infused the once-great car with all of the tricked out features, gold chains, tank tops, backwards Yankees caps, and Drakkar Noir they could get their hands on. And I know I spent my time here focusing on Ford when there are scores of other cars out there, but these two cars are two that would help define the suburban landscape for the latter part of the decade. Furthermore, they would help re-create the sense of the cars you own as a middle class status symbol, an affordable luxury that was beyond the utilitarian K-cars of the prior decade and showed how well you were at keeping up with everyone else.